Chick-fil-A Cow Appreciation Day is happening soon! Chick-fil-A Cow Appreciation Day is almost here! 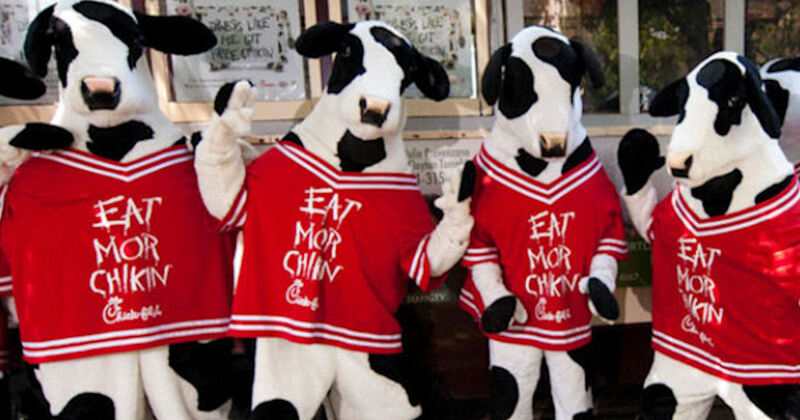 Anyone who wears anything cow-like can get a free entrée during Chick-fil-A Cow Appreciation Day! Plus, children wearing anything cow-like will receive a free Kid’s Meal! Check out the linked page for all the details.